Update Manager certainly makes host patching simple, but leaves a few things to be desired. How many times have you attempted to update a host in Update Manager only to have the host never enter maintenance mode because of a DRS rule, VMware tools installation or local ISO mapped to a VM? I wanted to find a way to check for all these things as I’m performing the patching process and be able to accomplish it at the cluster level. For the script itself I have broken it down into the different sections along with screenshots of what you’ll see when running the script. It makes it a little busy to follow along with for this entry, but hopefully it makes sense. At the bottom of the page I have the whole script put together to make it easier to copy and run it on your own. Let’s dig into the script. 1. While you can manually define the vCenter server in the script, I prefer being prompted as I have multiple vCenter servers that I work with. 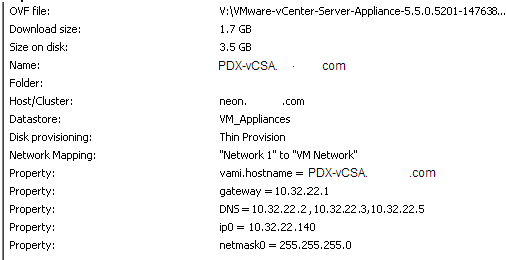 The multiple lines and color emphasis was for a customer that would forget to enter the vCenter name and instead enter the ESXi host name. 2. Here we’re going to list all the clusters. I use this menu system all the time now in my PowerShell scripts to make it easier to make selections instead of having to remember and manually enter the name of an object. This is getting all the clusters then converting the number selection that’s entered into the cluster name. $clusterNum = Read-Host "Select the number of the Cluster to be patched"
3. Now that we have the cluster we’re going to work with we search for DRS rules. Specifically, we’re looking for “Must Run” rules. This will prevent a VM from moving to another host. While every environment is different and they have “must run” rules for a variety of reasons, I’m comfortable disabling this during patch events. If there are any rules we’re going to list the rule names in the PowerShell console and give you the option to disable or not. a. Remember, this is only looking at “Must Run” DRS rules for the entire cluster, not for an individual host. If you’re patching, odds are you’ll be doing the entire cluster anyway so I didn’t break this down on a host-by-host basis. 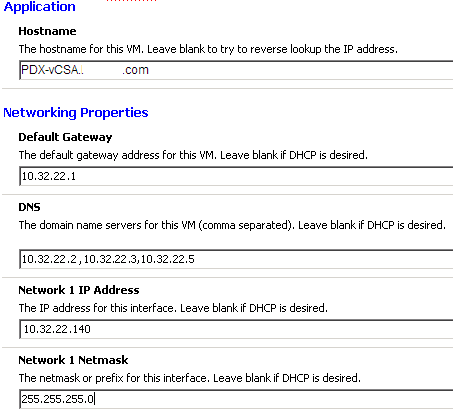 In the picture I have the name of the DRS rule highlighted (the VM name was in the rule so it’s been obscured). 4. Now that we’ve decided what to do with our DRS rules, we can get down to selecting the baseline. This script can be used for both patching and for Upgrades. There is a check later on in the script that will skip the “Staging” step and go right to remediation if it’s an upgrade. Once again, we’re using that menu selection function to display all upgrades/baselines and let us choose the one to use. $baselineNum = Read-Host "Select the number of the Baseline to be attached"
Write-Host "Attaching $($baselineName.Name) Baseline to $($clusterName.Name)..." -Foreground "Yellow"
5. Here’s where we’re going to complicate things a bit. I have 2 loops in this script. Loop number 1 is for checking if a host has any patches available. We’ll check a selected host against the attached baseline, if there are no available updates/upgrades then we report that in the PowerShell console and return to the host selection screen. The second loop is when a selected host has been patched we return to the host selection screen to choose the next one in the list. 6. Now that we’ve opened up our loop, we can start with selecting a host in the cluster. Once again, menu selection, this time we’re getting all the hosts in the chosen cluster and we’re displaying the host name, build, esxi version, and state. This makes it easier to know what hosts have been patched, which ones are still left, and what hosts are already in maintenance mode. In a larger environment you may forget what host name you were working on so seeing if a host was in maintenance mode and ready to be upgrade may be beneficial. 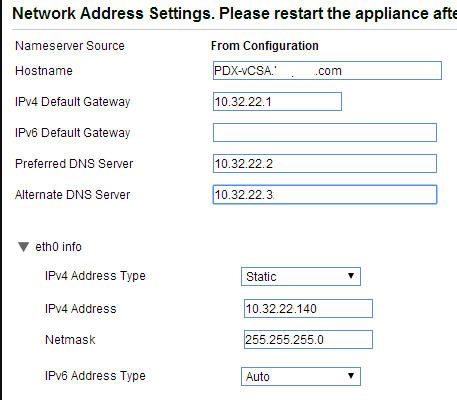 $hostNum = Read-Host "Select the number of the Host to be patched"
7. With our first host chosen we’re going to scan its inventory to see what patches it currently has installed. Write-Host "Scanning $($hostName.Name) patch inventory..." -foreground "Yellow"
8. Now that we’ve scanned it, we’re going to check it for compliance. If there are patches available, we’ll move on to the next step to see if there are any VMs with ISO or Vmware tools installations. If there aren’t any patches, we’re reporting that and then sending us back to the host selection screen. a. As a note, the second ‘}’ after the “Write-Host ‘Host is out of date” command is to close the second loop from step 5. Write-Host "Scanning $($hostName.Name) for patch compliance..." -foreground "Yellow"
9. Now that we have some patches to apply, we check for active VMware tools installations. We perform the lookup for VMs with tools installer mounted then we perform a count on that output. If there are more than 0, we list all the VMs. Now that you see all the VMs, you can press ‘Y’ to force the unmount and continue or you can ignore it and hope the VMs move. 10. 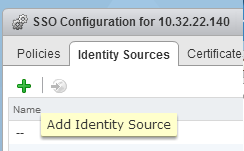 With all our VMware tools installations killed, we move on to ISOs. ISO’s that are stored in shared datastores won’t have an issue moving, but if ISOs have been mounted directly to a VM through a console window those can cause a hang up. Again, you know your environment better than me so use your best judgement when picking what to do. 11. Now we check if the host is in maintenance mode. This check isn’t required and we could just try to put a host in maintenance mode that’s already in maintenance mode without any errors, I just prefer to have this called out so people know that the host will be placed in maintenance mode. Also, if you don’t want to confirm and just want the host to automatically go into maintenance mode, you can remove the “Read-Host “Press Enter to place $($hostName.Name in Maintenance mode”;” section and it will automatically place the host in maintenance mode. 13. And, of course, if removing a VIB we need to reboot so now we throw this reboot check in there as well. If there were no VIBs found in Step 12, this will be ignored. Otherwise, we prompt for reboot, enter the reboot command, check for the host to enter the NotResponding state and report on the state until it responds in vCenter and returns to Maintenance state. Write-Host "$($hostName.Name) is going to reboot..." -foreground "Yellow"
Write-Host "$($hostName.Name) is currently down..." -foreground "Yellow"
Write-Host "Waiting for $($hostName.Name) to finish rebooting..." -foreground "Yellow"
15. Once patches have been staged (or upgrades ready to push) it’s time for remediation. We prompt that the host will reboot on its own once the patch has completed and we set a few advanced options. These are the defaults, but can still be environment specific so check to make sure this is what you want to use. 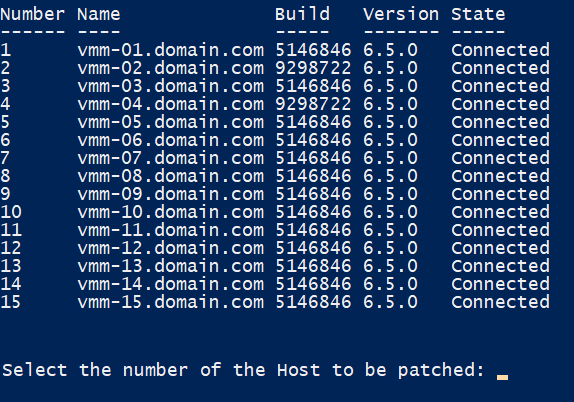 Write-Host "Remediating patches on $($hostName.Name) in Cluster $($clusterName.Name). Host will reboot when complete" -foreground "Yellow"
At the top of our PowerShell window we get the percentage of completion for our task. It’s not very accurate as it stays at 30% then goes to 92% when it’s nearly complete. 16. Once the host has been rebooted and comes back online we want to see the current status of that host to ensure updates were successful. 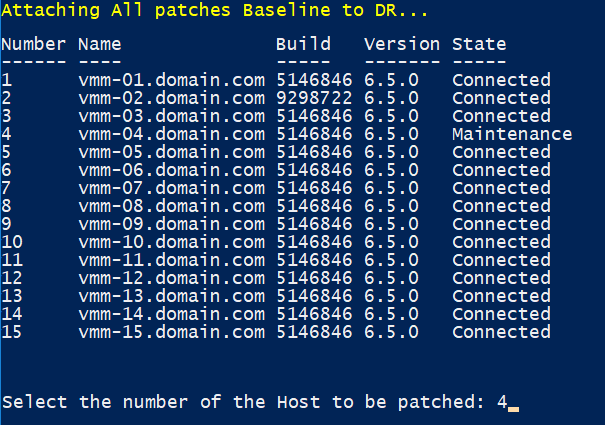 We are comparing the build number we grabbed before we started patching against the build number after the reboot. If they are the same, something didn’t work and we need to check into it. Otherwise, we do nothing. Write-Host "Retrieving Host build status..." -foreground "Yellow"
17. 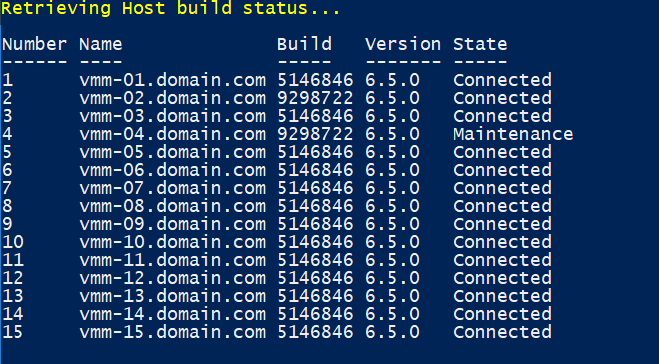 Now that the host was patched, we show a list of all the hosts in that cluster along with their build, version, and state. This gives us a full view of the cluster so we can see if there are any hosts left to be patched and then we exit maintenance mode for this host. Write-Host "Exiting Maintenance mode for Host $($hostName.Name)..." -foreground "Yellow"
18. Based on that list will determine the answer to our next question. We are being prompted to re-enable the DRS rules we previously disabled (if any). If any rules were chosen to be disabled we captured that in a variable in step 3. We can choose to re-enable just those disabled rules by pressing ‘Y’ or if there are other hosts left to patch we just press any other key to continue. 19. In this last question we’re just displaying the output from our last host patched and prompting the user to quit patching or go back to step 6 and pick the next host in the cluster to patch. $answer = Read-Host "$($hostname.Name) patched in Cluster $($clusterName.Name). Press "1" to re-run the script. Anything else to exit"
Below is the script all put together to copy and test. Like all scripts pulled from the internet, make sure you test them in a lab/isolated environment until you can ensure proper functionality. Sometimes the uninstallation of a plugin in vCenter will not remove it from the list of available plugins. Once you’ve confirmed the plugin can be removed, follow these steps to unregister it and remove it from the list.